Hand Drawn Vector Abstract Cartoon Modern Graphic Happy Valentines Day Concept Illustrations Art Cards And Posters Collection Set With Dancing Couples People Together Isolated On Colored Background. Royalty Free Clip Artok, Vektorokt és Stock Illusztrációk. Image 115004418. 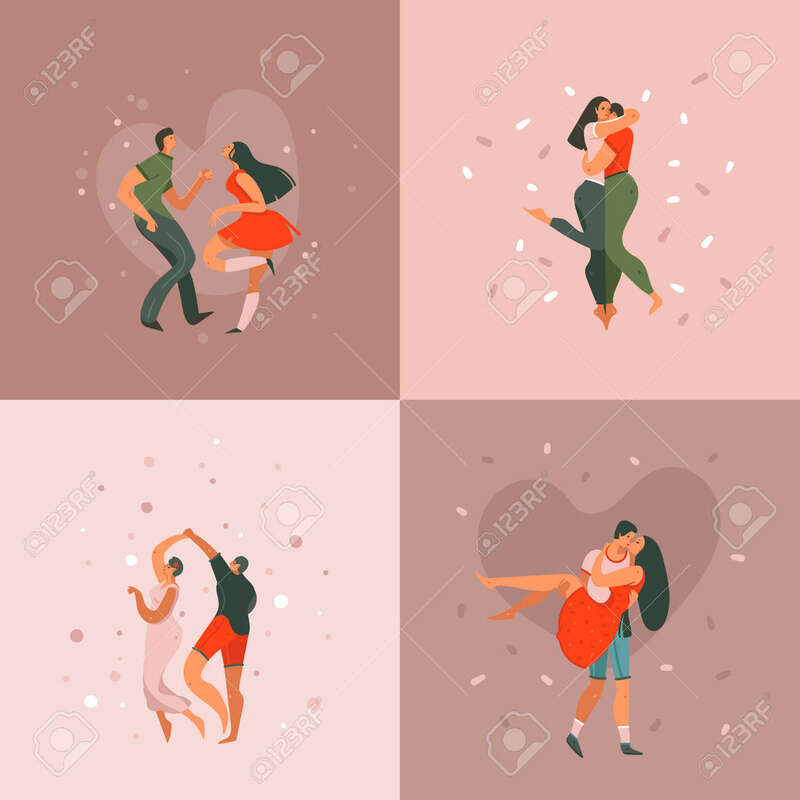 Stock fotó - Hand drawn vector abstract cartoon modern graphic Happy Valentines day concept illustrations art cards and posters collection set with dancing couples people together isolated on colored background.